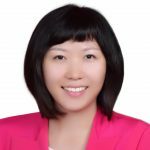 Wei is a senior consultant in Counterpoint specializing in Artificial Intelligence. She is also the China founder of Humanity+, an international non-profit organization which advocates the ethical use of emerging technologies. She formerly served as a product manager of Embedded Industrial PC at Advantech. Before that she was an MBA consultant to Nuance Communications where her team successfully developed and launched Nuance’s first B2C voice recognition app on iPhone (later became Siri). Wei’s early years in the industry were spent in IDC’s Massachusetts headquarters and The World Bank’s DC headquarters.